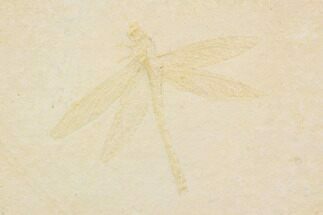 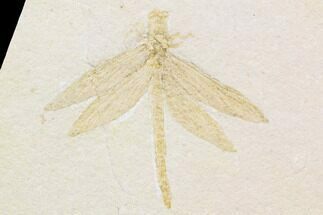 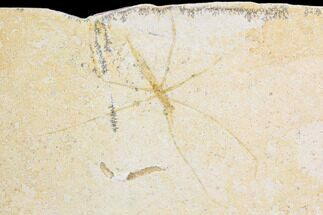 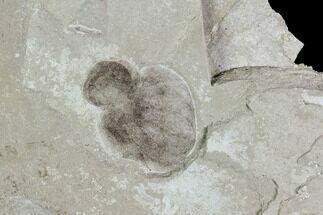 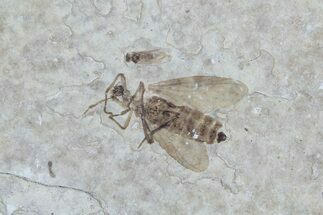 This is a partial fossil "March Fly", Plecia pealei from the Eocene aged Green River Formation in Utah. 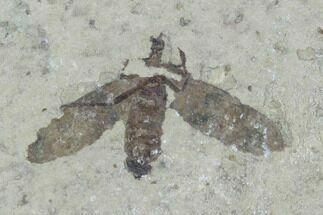 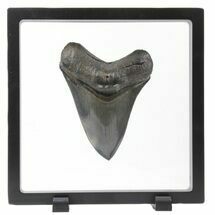 It's .43" long and shows quite a bit of detail under magnification. 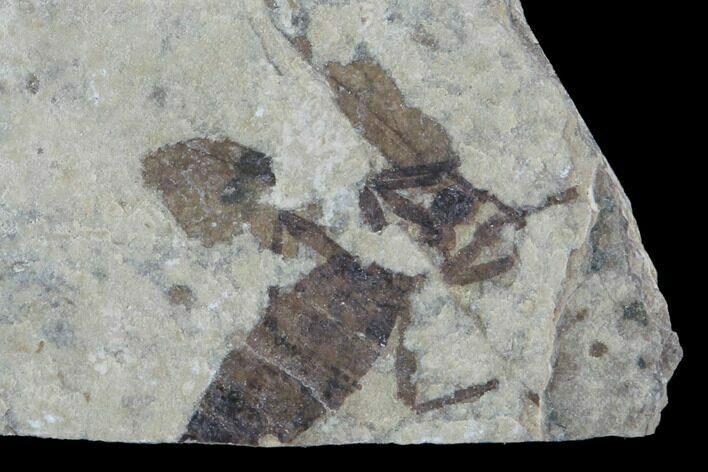 Beware: I've seen many of these flies for sale of fossil shows that are more or less just painted onto the rock and don't have any visible detail to their bodies.